West Florida Flames will be offering Summer Soccer camps at both our East Lake and Brandon Campuses. West Florida Flames - East Lake Campus 2017 Summer Soccer Camp Program. We are offering four camps at our East Lake facility at 3555 Old Keystone Rd, Tarpon Springs, FL 34688 (map). Registration links are provided below. Space is limited. Our soccer camp is for players of all levels from 6 to 13 years of age. The camp format dedicates the beginning of each session to working on basic skills such as dribbling, passing and shooting skills. Then the second part will be dedicated to teamwork and game situations like defensive positioning and offensive strategies. The week-long camp registration includes a T-Shirt. Training is from 9 AM to 1 PM Monday through Friday. 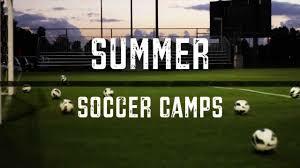 West Florida Flames - Brandon Campus Summer Soccer Series - Developmental Camps. These developmental sessions are designed to help players continue to grow with a fun up-tempo training environment designed to advance their soccer abilities. Surrounded by a World Cup atmosphere these kids should have a wonderful summer of soccer. These Summer Developmental Camps will be hosted at our own home fields with complete use of our entire resources. Our goal is to work on skills, tactics, speed and conditioning, shooting, and game awareness. Emphasis on fun individual skills including dribbling, shooting, passing, heading, volley shooting and finishing in front of goal. We create small sided groups to feature one on one skills and game involvement. Campers are divided up for World Cup games to be played after morning break with finals to be played on Fridays! Emphasis on skills, positional responsibilities, first touch in pressure and away, tactical awareness, formation awareness including movement of player and ball in formation. Older players are introduced to foot skills and speed training to enhance fitness and speed of play.